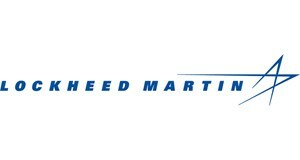 LOCKHEED MARTIN SERVICES INC is an Active Commercial Supplier with the Cage Code 4ETM4 and is tracked by Dun & Bradstreet under DUNS Number 834951691. 199709!1700!8496!BD910!DEFENSE CONTRACT MANAGEMENT DIVI!N0002491C5101 !A! *!A00180 !19970103!19980103!834951691!834951691!834951691!N!02769!LOCKHEED MARTIN CORPORATION !6801 ROCKLEDGE DR !BETHESDA !MD!20817!47850!005!34!MOORESTOWN !BURLINGTON !NEW JERSEY!0001!-000000522537!N!N!000000000000!1095!MISCELLANEOUS WEAPONS !A2 !MISSILE AND SPACE SYSTEMS !2CNG!MGM-71 TOW !8711!3!*!*!C!B!A! *!D !U!L!1!001!N!1G!A!N!A!* ! * !N!C!*!A!A!A!A!A!*! * !*!N!A!C!N!*!*!*!*!*! 199909!1700!3083!BZ005!NAVAL SEA SYSTEMS COMMAND !N0002499C5102 !A!*! * !19990615!20020531!834951691!834951691!834951691!N!0V3G5!LOCKHEED MARTIN CORPORATION !6801 ROCKLEDGE DR !BETHESDA !MD!20817!47850!005!34!MOORESTOWN !BURLINGTON !NEW JERSEY!0001!+000034222516!N!N!000000000000!R425!ENGINEERING TECHNICAL SERVICES !A7 !ELECTRONICS AND COMMUNICATION !2SCY!DESTROYER DDG-51 !8711!3!*!*!*!B!A! *!D !N!R!1!001!N!1A!Z!Y!Z!* ! * !N!C!*!A!A!A!A!A!*! * !*!N!A!C!N!*!*!*!*! *!